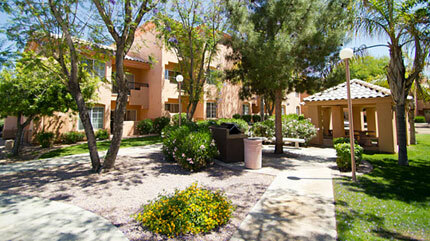 Scottsdale Villa Mirage in Scottsdale, Arizona - Buy a 7 Night Stay in a Studio or 1 Bedroom Suite! Enjoy 7 Nights at Scottsdale Villa Mirage in Scottsdale, Arizona! Scottsdale Villa Mirage is an oasis located in the middle of the desert. The surrounding landscape is painted in unimaginable colors by the rising and setting sun. Each accommodation offers cable television, DVD player, fully equipped kitchen (most accommodations), washer and dryer, whirlpool tub, fireplace, and patio or balcony. 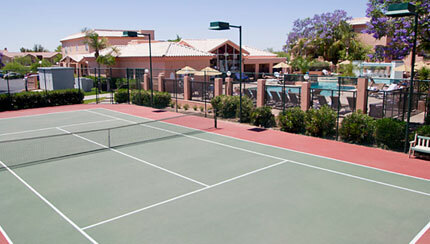 Tennis courts, two hot tubs, a swimming pool, and a new water playground provide ample opportunity for fun in the sun. Nearby are Jeep tours, hot-air balloon rides, world-class golfing, nightlife, and shopping. All units include Blender, Coffee Maker, Dishes, Dining Table & Chairs, Fire Extinguisher, Fire Alarm, Glassware, Microwave/Convection Oven, Smoke Detector, Kitchen Sink, Cutlery, Toaster, Refrigerator, Central Air Conditioning, Ceiling Fan(s), Cable TV, DVD Player, Hair Dryer, Iron & Board, Patio Furniture, Patio/Balcony, Radio/Alarm, Stereo, Telephone, Voice Mail/MessageWaiting. Your STUDIO UNIT will accommodate 4. The unit has a partial kitchen, a queen platform bed and sleep sofa. The Following Check-in Dates are Currently Available in a Studio Unit! OR UPGRADE TO A ONE BEDROOM SUITE FOR ONLY $100 FOR THE ENTIRE WEEK! Your ONE BEDROOM unit will accommodate 4. The unit has a full kitchen, a king platform bed and sleep sofa. The Following Check-in Dates are Currently Available in a 1 Bedroom Unit!